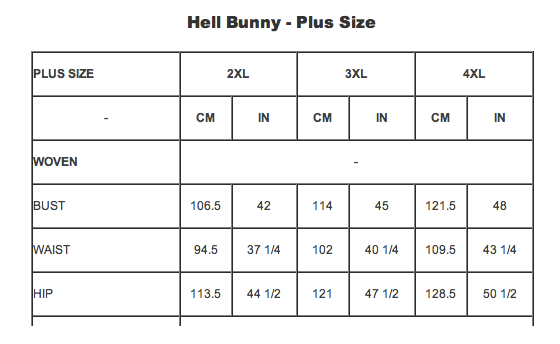 I have been eyeing Hell Bunny for a long time but when I looked at their size chart I just did not see any hope for my 53″ waist fitting into one. But then fellow Ahead of the Curve blogger and friend Cherie, who blogs at The Fat Girl knew a little about my size and suggested that I give one a try. And guess what, it fits. It has a full elastic back, but not much give in the material. Zombie Pin Up in Mini has side stretchy panels and runs bigger compared to other Hell Bunny dresses and the material has some give to it. Olive dress has back stretchy panel but it runs small. 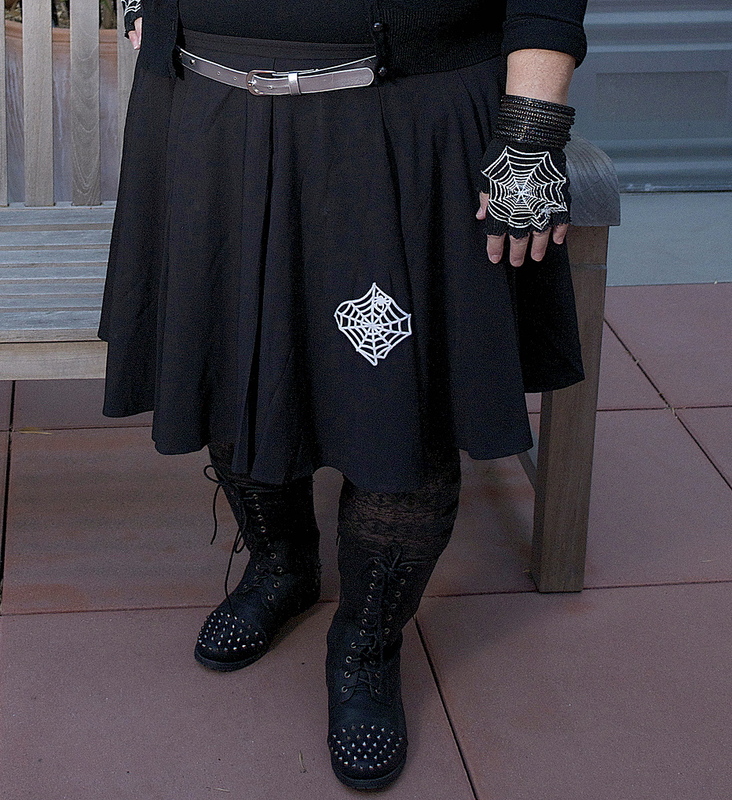 So that is what I know today, if you have a question you could always contact Sweet Echo and I am sure she would be happy to answer your questions. You may have noticed that I don’t usually give you a link for my earrings. I can’t wear posts, I seem to have developed an allergy to metal. I mainly wear vintage clip earrings from the 80s that I buy on Etsy for Ebay. 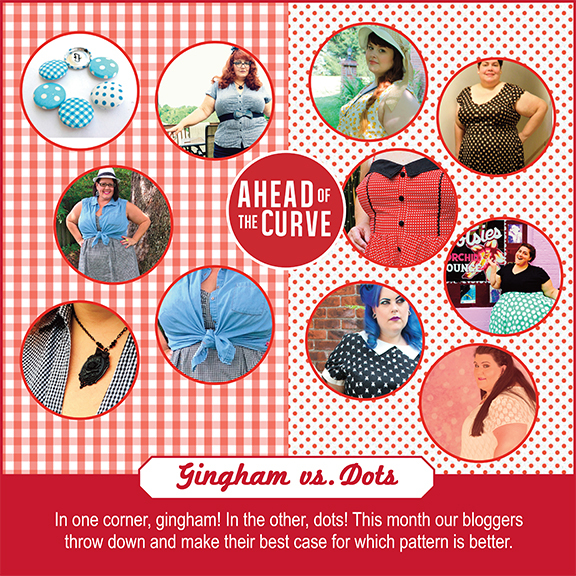 It you want to check out what my fellow Ahead of the Curve Bloggers have to say about gingham vs. dots this month click HERE. We are a plus size blogging collective that comes together once a month to post on a fashion theme. Stay in the know with Ahead of the Curve by liking us on Facebook and follow us on Instagram as Ahead_of_the_Curve_Bloggers.